While the Saharan wing of al-Qaeda in the Islamic Maghreb (AQIM) has dominated regional headlines in the last year, the larger core wing of AQIM operating in the northern forests and mountains of the Kabylia region has recently stepped up its activities, killing dozens of soldiers, gendarmes and civilians in a series of attacks this month. A major AQIM raid targeted a guard post of the Armée Nationale Populaire (ANP) near the town of Azazga in Tizi Ouzou province on the evening of April 14/15. Local residents say the attack began at 8PM with a series of mortar explosions, followed by bursts of automatic rifle fire. Soon after the assault began, government helicopters arrived and delivered heavy fire against a nearby forest to which the assailants had fled. Other helicopters evacuated the dead and wounded to a military hospital in Algiers (Le Temps d’Algérie, April 17). 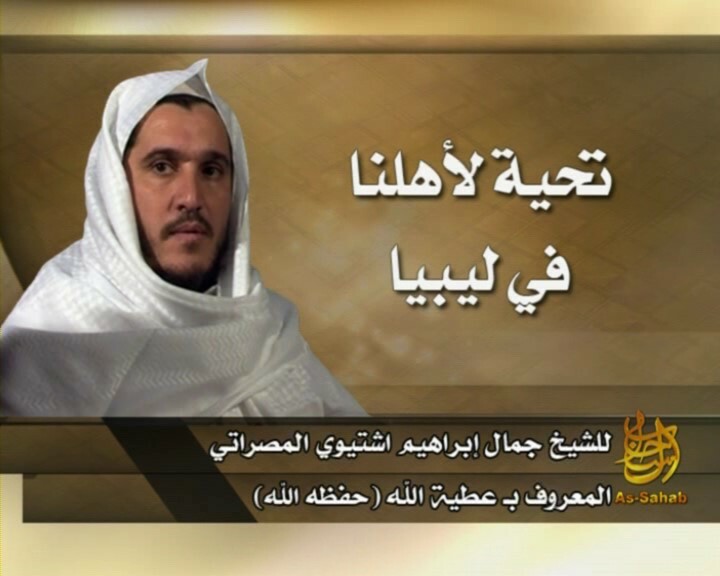 An AQIM communiqué released on April 20 claimed responsibility for the attack, saying that one mujahid was killed during the raid: “We will never forget the blood of our martyrs and we will reply to all those among us who have been killed by the evil apostates [i.e. the Algerian military]” (Ennahar [Algiers], April 20). Official sources said the militants had suffered heavy losses in the attack (Le Temps d’Algérie, April 27). Militants have begun using roadside bombs along the RN 24 highway in Kabylia, recently re-opened after being closed for security reasons for 20 years (al-Watan [Algiers], April 13; La Tribune [Algiers], April 7). Two gendarmes were killed in Kabylia by a roadside bomb on April 27 (Reuters, April 27). In the town of Lakhdaria, surrounded by the mountains of Kabylia, a remote-controlled bomb planted in a restaurant killed one gendarme and injured another. It was believed the bomb was meant to target Chinese nationals who frequented the restaurant, but the arrival of the gendarmes led the terrorists to detonate the device early (L’Expression [Algiers], April 18). Algerian security forces are engaged in constant operations to eliminate the elusive cells of AQIM. 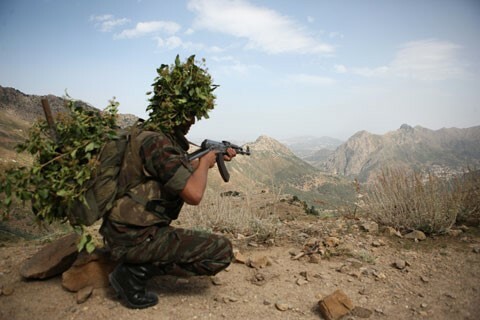 Four AQIM fighters were killed on April 24 in a large military operation carried out in the Khenafou mountains of Tizi Ouzu province. Authorities said intensive intelligence work had led to the arrest of the guide of a column of roughly 20 AQIM militants. The guide was about a day and a half ahead of the rest of the group and his information allowed security forces to prepare and ambush for his comrades (Tour sur l’Algérie, April 26). Algerian authorities had earlier reported the death of eight AQIM militants in Tizi Ouzu and neighboring Boumerdès province on April 15 (L’Expression, April 18). Algerian troops and fighter jets are also monitoring the southern Saharan region for AQIM militants crossing to and from Libya. Seven militants were reported to have been killed by border guards with shoot-to-kill orders on April 20, three of them while trying to enter Libya (al-Khabar [Algiers], April 20). Since NATO air operations over Libya began on March 19, there have been increasing expectations on the part of rebel forces that NATO warplanes will act as a proxy air force for the rebel campaign to overthrow Libyan leader Mu’ammar Qaddafi. These expectations have been fuelled by rhetoric coming out of Western capitals calling for the destruction of the Libyan military and even the assassination of Qaddafi himself, though these activities would seem to exceed the aims and limitations of the UN Security Council’s authorization of a no-fly zone. 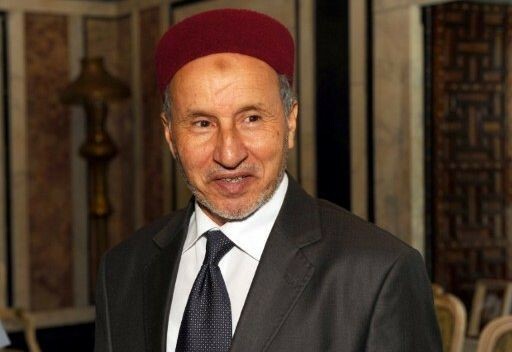 The rebel viewpoint was expressed in a pan-Arab daily’s recent interview with Mustafa Abd al-Jalil, the chairman of the rebel National Transitional Council (NTC) and the former justice minister in the Qaddafi government (al-Hayat, April 22). Al-Jalil also suggests that the Syrian-based Popular Front for the Liberation of Palestine – General Command (PFLP-GC) of Ahmad Jibril has sent 1,000 Palestinians to Tripoli to defend the regime. The PFLP-GC was also recently blamed by Syrian authorities for the sniper killings of anti-Assad protestors in the Syrian port city of Latakia, though many observers believe the killings were the work of Syrian security forces. There are reports of divisions within the NTC over the introduction of Western ground forces in Libya, though there is some consensus that NATO air operations are insufficient to guarantee a rebel victory. If the UN Security Council and the Arab League fail to authorize such an intervention, the rebels may seek out their own “military experts and advisers to boost the capabilities of the Free Libya Army” (al-Sharq al-Awsat, April 21). The NTC chairman confirms that the rebel camp has been successful in obtaining new weapons, either through purchase or donation, and that some of these weapons have been shipped to the rebels in Misurata. Turkish security services claim to have learned of an al-Qaeda plot to use rockets to attack U.S. military aircraft at the Incirlik Air Base in southeastern Turkey. According to intelligence collected by the National Intelligence Organization (Milli Istihbarat Teskilati – MIT) and the General Directorate of Security (Emniyet Genel Mudurlugu), the plot was to be carried out by two Syrian members of al-Qaeda identified as Abu Muhammad al-Kurdi and Salih Battal (Today’s Zaman, April 6). The Incirlik Air Base is located just outside the city of Adana and is used jointly by the U.S. Air Force and the Turkish Air Force (Turk Hava Kuwetleri). It is the permanent home of the U.S.A.F.’s 39th Air Base Wing, which acts as the host unit for American air operations using the base. Incirlik has played an important role in U.S. military and intelligence operations from the Cold War through to the war in Afghanistan and the 2003 invasion of Iraq. A U.S. diplomatic cable released by Wikileaks dated June 8, 2006 said that Turkey had allowed Incirlik to be used as a refueling stop for U.S. aircraft involved in the CIA’s rendition program (Guardian, January 17). 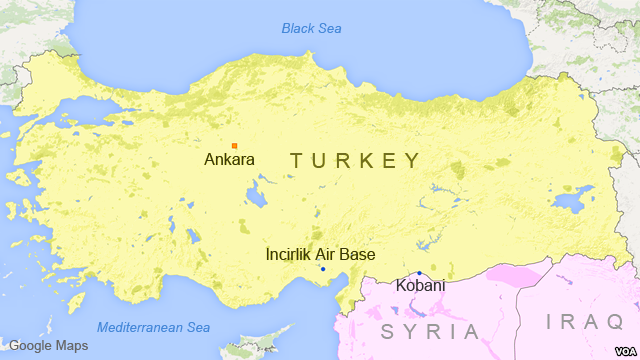 Incirlik is also thought to be a forward storage site for U.S. nuclear weapons. The revelations were followed on April 12 by a series of raids in Istanbul and the eastern province of Van on the homes of suspected members of al-Qaeda and Turkish Hezbollah, a largely Kurdish Islamist militant group involved in the torture and murder of hundreds of members of the Kurdish socialist Partiya Karkeren Kurdistan (PKK) rebel movement in the 1990s. Forty-two suspects were detained by police in Istanbul and a further ten in Van. Turkish authorities said that one of the detainees was the alleged head of the Turkish chapter of al-Qaeda, Halis Bayancuk, a graduate of Cairo’s al-Azhar University and a former member of Turkish Hezbollah. He was charged with leading a terrorist organization in 2008, but released less than a year later (Today’s Zaman, April 14; Turkiye Radyo Televizyon [TRT], April 12). In a recent move that outraged Turkish public opinion, a Turkish court ordered the release in January of at least 25 members of Turkish Hezbollah alleged to have been involved in the brutal murders of PKK members and rival Islamists. The release was ordered under a new law that states detainees cannot remain imprisoned for more than ten years without a trial. The case against the suspects was complicated by numerous allegations that Hezbollah operated as a covert arm of the state’s efforts to crush Kurdish separatism and Islamist challenges to the officially secular Turkish state (Hurriyet, January 7; BBC, January 23, 2000). Turkish authorities did not state whether any of those arrested were involved in the January release (Reuters, April 12). The obvious importance of Incirlik Air Base to the furtherance of U.S. foreign policy interests in the region has inspired a number of Islamist militant cells to plan attacks on U.S. facilities at Incirlik. In 2002 four Arab-Americans were arrested in Detroit on charges of operating a terrorist cell. Sketches of the Incirlik air base were found in their apartment (Los Angeles Times, August 31, 2002; Washington Post, September 15, 2002). There are reports that Osama bin Laden suggested that a Turkish militant cell attack U.S. facilities at Incirlik, but the would-be attackers were dissuaded by the tight security at the base. They then turned their attentions to softer targets, bombing two Istanbul synagogues in November 2003 (Independent, December 18, 2003. There were further warnings of an imminent attack by suicide bombers or hijacked planes in February 2006. Syria has implicated a leading Lebanese politician in the creation of a Damascus-based terrorist cell intent on discrediting the Syrian government by killing demonstrators and making it look like the work of the Syrian regime. The allegations were based on the confessions of three individuals carried on Syrian television. An array of weapons said to have been seized from the alleged terrorists at the time of their April 10 arrest were also displayed. The leader of the cell, Anas Knaj, a 29-year-old billboard worker, claimed to have recruited two of his friends, Muhammad Badr al-Qalam and Muhammad Ahmad al-Sukhneh, to form a terrorist cell under the name “The Syrian Revolution,” which he said aimed to “move the country from a bad situation to a better one” (Syrian Arab News Agency [SANA], April 13; al-Ba’ath [Damascus], April 13). The formation and arming of the cell was facilitated by a mysterious individual, Ahmad Audeh, who claimed to be a member of the Muslim Brotherhood. Audeh told the men that he was acting on behalf of Lebanese member of parliament Jamal al-Jarrah, a member of Sa’ad al-Hariri’s Mustaqbal (Future) movement, part of the anti-Syrian March 14 coalition. Audeh suggested that al-Jarrah was part of the Muslim Brotherhood and would provide generous rewards to the members of the cell for their work. In the event of their death, their families would receive large cash payments. Kanj reported that the cell initially received orders to instigate demonstrations near the Umayyad Mosque in Damascus by recruiting a handful of young people to begin chanting “freedom slogans” near the mosque. As hundreds of other Syrians joined the apparently spontaneous demonstration, the provocateurs slipped away before police arrived. 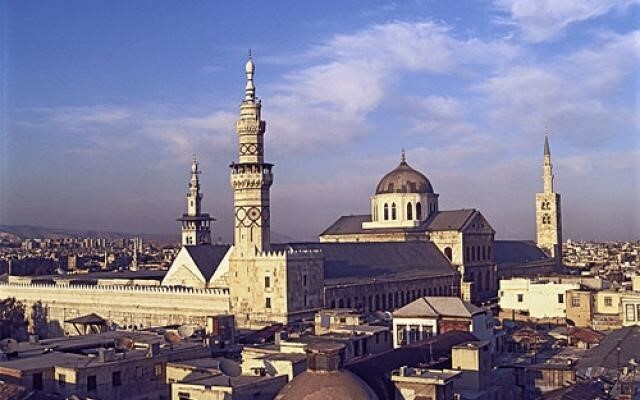 The Umayyad Mosque has been a focal point for protests in Damascus since the demonstrations began on March 15. The mosque is one of the world’s oldest continually used holy places, with the site successively hosting a Bronze Age temple, a Roman Temple of Jupiter, a Byzantine basilica devoted to John the Baptist and the present mosque, founded by an Ummayad caliph in 706. Though the men had little experience with weapons, Audeh was said to have provided them with sniper rifles and training in their use. Audeh claimed to have used bribery to ship the weapons from Lebanon across the border to Syria and said Kanj’s cell was only one of many he had equipped within Syria. According to Kanj, Audeh ordered the cell members to fire on the demonstrators with their sniper rifles. Photos of the carnage were to be taken and posted to the dissident al-Thawra (Revolution) Facebook site “to make the people believe that the Syrian security members are the ones who were killing the citizens.” Their efforts were regarded as a success within the cell when the al-Arabiya and al-Jazeera news networks reported Syrian security forces were shooting unarmed demonstrators in Damascus. Just before the men were arrested they claimed to have received orders to attack the poorly-defended Sbeineh police station outside Damascus while disguised as members of the Syrian security forces. One individual was assigned to take photos of the attack and post them to the al-Thawra Facebook site. The exiled leader of the Syrian chapter of the Muslim Brothers, Muhammad Ri’ad Shaqfa, denied that his movement had any role in promoting unrest in Syria, though it backed demands for greater liberty: “All tyrants play the same game. They accuse their own people of serving an outside conspiracy while using violence and cunning to survive” (Reuters, April 11). The movement was banned in 1963 and membership is punishable by death since 1980. Iranian sources claim Syria is under attack by an alliance consisting of the pro-Israeli camp in Washington, anti-Iranian elements in Saudi Arabia and the Mustaqbal movement of Sa’ad Hariri in Beirut (Press TV [Tehran], April 15). Supporters of the Syrian regime have pointed to leaked U.S. diplomatic cables released by Wikileaks that suggest Sa’ad al-Hariri had proposed replacing Syrian ruler Bashar al-Assad with a coalition that would include the Muslim Brotherhood, former Syrian vice-president Abdul Halim Khaddam and former Syrian Army chief-of-staff Hekmat al-Shahabi (al-Akhbar [Beirut], April 16; Ahram Online, April 16; al-Watan [Damascus], April 18). Khaddam has lived in exile in Paris since 2005 after accusing Assad of directing the assassination of former Lebanese Prime Minister Rafik Hariri, father of current Mustaqbal leader Sa’ad Hariri. Al-Shehabi resigned after 24 years as Army chief-of-staff in 1998 and moved to California. While confirming a personal relationship with Abdul Halim Khaddam, Lebanese MP Jamal al-Jarrah has denied any involvement in the alleged terrorist cell: “If [the Syrians] have any evidence, we call on them to present it to the Lebanese judiciary and let it rule” (iloubnan.info, April 13; al-Jadeed TV, April 13). Al-Jarrah later suggested the mysterious al-Audeh could have been an Israeli agent (Naharnet, April 16). Syrian officials have accused the Muslim Brothers of pursuing a sectarian conflict by attacking Alawites and Christians in Syria. The Brotherhood, however, is apparently keeping a low profile in the unrest, unwilling to give Assad’s regime an excuse for a general massacre of suspected members. Executive Summary: After nearly two months of fighting in Libya, what began as a revolution against Mu’ammar Qaddafi’s repressive regime has turned into an internal and international struggle for control over Libya’s oil and gas reserves. 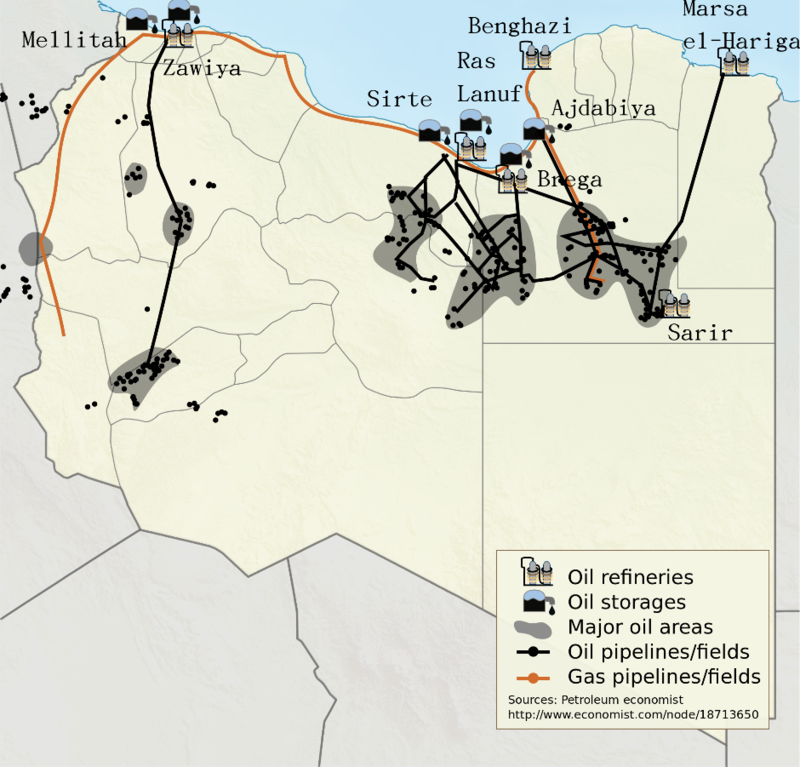 Of the country’s four major oil basins, the most productive – Sirte Basin – is only partly controlled by the rebel forces. While some reserves are in contested areas, the majority of Libya’s oil is still in government hands. Now lacking funds, arms and leaders, the rebels’ sole asset and the key to any possible success is their share of the oil fields. They are currently desperate for funds, fuel and training. Furthermore, the rebels are almost completely dependent on NATO forces to defend their oil operations, which would require the unpopular and unlikely decision to put Western troops on the ground in Libya. However, multiple American energy producers, including ConocoPhillips, hold stakes in Libyan oil fields. The international community is now scrambling to find alternative sources of oil until UN sanctions are lifted. Qatar, which has supplied the Benghazi rebels with four shipments of petroleum products, has also agreed to market the rebel oil. Additionally, Saudi Arabia has boosted its output to meet any shortfall in supply created by the Libyan crisis. Meanwhile, the violence in this oil war is spreading, with three oil workers recently killed in loyalist attacks on the Misla and Sarir oil fields in early April. As ships of the U.S., French and British fleets stood by, a supertanker carrying a Libyan rebel shipment of 550,000 barrels of high-grade crude oil worth $110 million made its way from Tobruk earlier this month, headed east for China. An observer might have come to the conclusion that the war in Libya was securing the energy supplies of those who refused to sanction or join it. Without knowing it, however, this observer could also have been gazing at the last major oil shipment to leave Libya for some time, leaving a revolution the West had hoped would be self-financing instead reliant on handouts from nations that have invested too much in the revolt to turn back. Assertions that oil was behind the conflict from the beginning are both predictable and inaccurate. The West had repaired its relations with Qaddafi who was opening the Libyan oil industry to Western participation and was selling the West prime petroleum products at market rates. There was simply no reason to destroy stability in a reliable energy producer, particularly at a time when the United States and its allies are trying to disengage from two costly wars in Muslim countries and mount their own economic recoveries. The Libyan revolt was rather a spontaneous eruption of dissatisfaction with Qaddafi’s repressive and erratic regime. This, however, has been its greatest weakness; the revolt is unorganized, unplanned, unfunded, leaderless and militarily inferior to its opponent. Despite a month of fighting, international sanctions and a massive Western aerial intervention, the revolt that began with the slogan “Libyans can do it themselves” is now desperate for funds, fuel, food, arms and training. 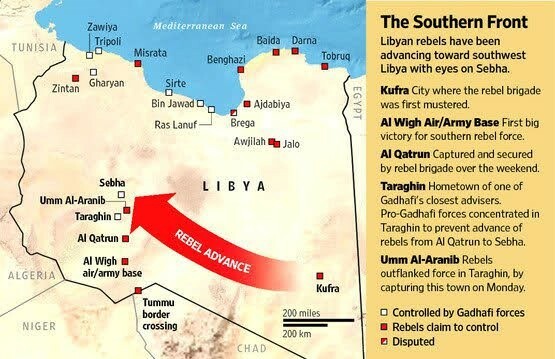 The rebels’ sole asset and the key to any possible success is the oil fields under their control, though recent long-range operations by Qaddafi loyalists in the Libyan desert have halted production, leaving the rebels without a source of financing and entirely dependent on Western sources of money and arms, a long way from the revolution’s once buoyant “do it ourselves” philosophy. It did not start this way, but the Libyan crisis has evolved into an internal and international struggle for control of Libya’s abundant oil and gas reserves. Libya is home to four major oil basins: the Ghadames, Murzuk, Kufra and Sirte basins. The most productive is the 230,000 km² Sirte Basin, which holds roughly 80% of Libya’s proven reserves with 43 billion barrels and accounts for 90% of production. The rebels control a part of the Sirte Basin capable of producing 200,000 bpd. Some reserves are in contested areas, but the vast majority of Libya’s oil remains in government hands. 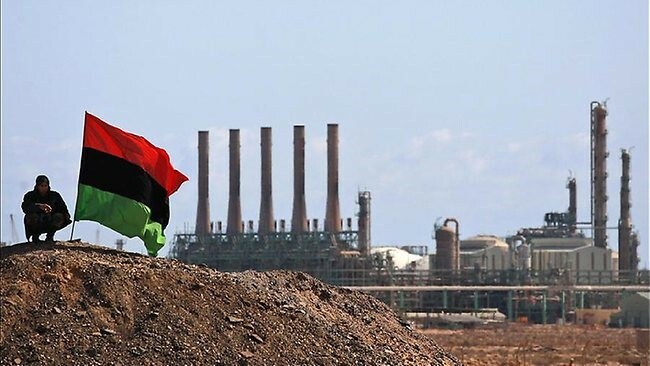 While fuel supplies have been a problem in the rebel-held areas, the government continues to control nearly all Libya’s refining capacity and most of its export terminals (Reuters, April 11). Libya has the largest oil reserves in Africa and is the world’s 17th largest oil producer. 85% of production goes to Europe, 5% to the United States and 10% to China. The rebel-held oil facilities are now being operated by AGOCO (Arabian Gulf Oil Company), a 1979 split-off from the state-owned National Oil Corporation (NOC). AGOCO claims it has two million barrels still in storage at Marsa al-Hariqa, though this has not been confirmed (Reuters, April 7). The NOC claims it is currently producing up to 300,000 bpd, but would have little alternative to storing production until sanctions are lifted or alternative means of sale can be established. Besides agreeing to market the rebel oil, Qatar has also supplied the Benghazi rebels with four shipments of badly needed petroleum products through its state owned International Petroleum Marketing Co. (PennEnergy, April 13). Saudi Oil Minister Ali al-Nuaimi said Saudi Arabia has enough spare output capacity to meet any shortfall in supply created by the Libyan crisis, having already boosted its output to about nine million bpd, including a new blend it claims approximates light sweet Libyan crude (Gulf Daily News [Bahrain], April 10). However, Saudi Arabia has not produced more than 10 million bpd in recent years and some industry experts doubt it will be able to increase production to 12.5 million bpd, as it claims. There are also questions regarding the quality of the new Saudi blend, which may not be as fine as the Libyan product. Opportunities for China and Russia? Defected former Libyan Energy Minister Omar Fati bin Shatvan recently declared that Russia and China would not be granted the opportunity to develop oil and gas fields in Libya under a new rebel regime because they had failed to support the rebellion, adding that French and Italian companies could be rewarded with oil and gas contracts for their support (AFP, April 7). 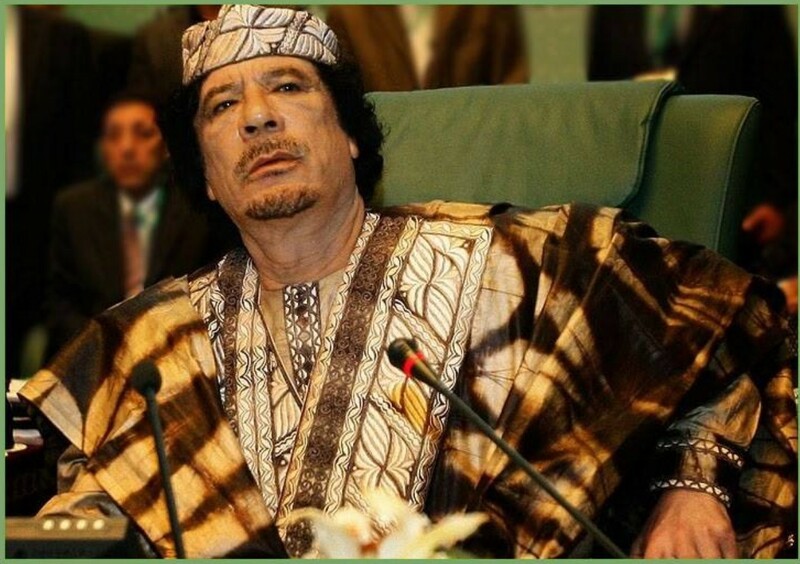 However, Qaddafi has already invited Russian, Chinese and Indian diplomats to discuss taking over Western oil operations in Libya once he has dealt with the Western supported rebellion. Three oil workers were killed in loyalist attacks by armored vehicles on the Misla oil field on April 4 and 5, and an attack on the Sarir oil field on April 6. Sarir is also home to important installations belonging to the $25 billion Great Man-Made River project, which supplies water from subterranean Saharan aquifers to Libya’s cities, including Ajdabiyah and Benghazi. Tripoli claimed (without evidence) that the damage was caused by “British war planes,” perhaps seeking a propaganda victory on top of a series of successful raids (UKPA, April 7). The rebels are calling for NATO to defend their oil operations, but this will be difficult without putting Western troops on the ground, a move that would be opposed by many NATO members. Loyalist forces seem to be basing their attacks out of the Waha oil field, located near the center of the Sirte Basin operations. American energy producer ConocoPhillips has a 16% share in a joint venture working the Waha oil field, while Marathon Oil and Hess Corporation hold smaller stakes. Qaddafi’s forces can also operate from the desert city of Sabha, home to a large military base and the loyalist Megarha tribe, striking east to attack rebel-held oil fields. The loyalist raids targeted oil storage tanks and a diesel tank that provides fuel to the generators at Misla and Sarir. Many skilled workers capable of repairing such damage have been evacuated from Libya and the rebels have only been able to spare young, untrained fighters to defend the oilfields from further destruction (Financial Times, April 7). Without more substantial defenses, it looks like rebel oil production will cease for the duration of the conflict. Even before the attacks, oil production at the Misla and Sarir oil fields was only one-third of capacity. AGOCO officials have said production will not resume until the oil fields have been secured (Reuters, April 13). In these circumstances, Qaddafi’s forces can continue to disrupt rebel oil operations without having to damage or destroy the most important elements of the oil fields, enabling them to be put back into production quickly in the event of a loyalist victory. The only export terminal in rebel hands is Marsa al-Hariqa near Tobruk, which would be vulnerable to attack via the desert highway from Ajdabiyah should that city be secured by loyalist forces. Marsa al-Hariqa is the smallest of Libya’s oil terminals in terms of loading volumes. Perhaps the most vulnerable part of the infrastructure is the 500 km pipeline connecting the eastern oil fields to Marsa al-Hariqa. Other pipelines connect the same oil fields to terminals controlled by the government. The rebel leadership is attempting to secure an exemption from UN sanctions for their oil exports. However, even if loyalist forces are ousted from the oil fields, it is likely the rebels will be unable to produce more than about 50,000 bpd, an amount likely to be insufficient to finance services, purchase food and other goods and run an expensive military campaign against Qaddafi’s forces. Marine insurance for vessels doing business in Libya has skyrocketed, perhaps prohibitively except for countries such as Qatar that are willing to absorb the risk. UK Foreign Secretary William Hague has already asked the international community to provide “temporary” financial support to the INC. Qaddafi has considerable gold reserves stored in Tripoli, enough to keep a war running for years, while the rebels have only whatever oil is still stored at the Tobruk terminal. In the continuing search for funds, the rebel Interim National Council (INC), recognized as Libya’s government by France, Italy and Qatar, has asked the United States for immediate access to Qaddafi’s frozen assets, believed to total more than $34 billion (Reuters, April 9). The request raises the question of whether funds that should belong to the Libyan people as a whole can be released to an unelected committee composed largely of Benghazi-based dissidents. Without military intervention by ground forces, indicators point not toward stalemate, but toward an eventual government victory, even if NATO airstrikes cause a delay in this outcome. Strategically, Qaddafi’s forces hold the upper hand and have proven highly adaptable in developing tactics to cope with NATO’s aerial intervention. Qaddafi is demonstrating that authoritarianism will prevail over the type of “war by committee” that is being run by both NATO and the Libyan rebels. The no-fly zone might actually have improved loyalist tactics, forcing them to abandon slow moving armor columns in favor of more mobile deployments in pick-up trucks that are able to mount quick strikes against rebel forces. U.S. and NATO commanders complain that loyalist forces assemble near civilian infrastructure such as schools and hospitals as if this was somehow “unfair.” The West has invented this form of limited warfare and should not be surprised that the Libyans and others subjected to it would devise tactical methods of response that do not involve lining up in the open desert to be destroyed by enemy airstrikes. With many major tribes now siding with Qaddafi, whether through loyalty, tribal ties or cash payments, NATO stands in danger of being seen to be attempting to impose a national government consisting of a dissident minority. Such a state would seem to stand little chance of survival once NATO military support is withdrawn. Both sides have broken out the armories, and Libya is now flooded with arms, leaving any new government subject to armed opposition. Having taken the lead in marketing rebel oil, the tiny emirate of Qatar appears to be taking the lead in arming the insurgents – according to rebel General Abd al-Fatah Younes (who appears to have picked up a Western security team to ensure his personal safety), Qatar has supplied the rebel forces with anti-tank weapons (al-Jazeera, April 8; Independent, April 7). Considering the military ineptness of rebel forces prone to panic and flight, there is every possibility that arms and munitions provided to the rebels will soon wind up in the hands of a grateful loyalist army. NATO’s campaign might easily be called “The War of Contradictions,” since it has said one thing and done another from the beginning. Its entire framework for intervention is based on a no-fly zone to protect civilians that was exposed as a cover for battlefield air support for the Libyan rebels almost immediately. While some NATO nations see the campaign as one intended to protect civilians, France, Britain and the United States are clearly set on regime change, a course that cannot be reversed at this point. From the beginning, Western involvement in the Libyan crisis has been based on the false assumption that Qaddafi was universally disliked and unwanted in Libya. Despite ample evidence to the contrary after nearly two months of fighting, the NATO campaign continues to rest on this unfounded belief. NATO and the Western media celebrate every time another non-combatant politician defects, but these efforts at self-preservation play no role in the battle on the ground. What is more important is the near total absence of defecting loyalist fighters. For the Libyan regulars and their mercenary auxiliaries it is clear who has the upper hand in the fighting and who has the ability to pay their troops and reward success handsomely. Rebels now demand nothing less than unconditional surrender – probably not a realistic option, but one based on the belief that NATO will do their fighting for them. The rebels now believe their ranks to be thoroughly infiltrated by Qaddafi spies, probably a sign that morale is crumbling as rebel fighters refuse to acknowledge war is a professional’s game. If the conflict drags on, who will be the first to break sanctions by buying oil from the Qaddafi government? Italian oil firm Eni was reported to be arranging for a shipment from a Qaddafi-controlled terminal, but believes the shipment will not violate sanctions as the oil is owned by Eni (Reuters, April 13). Italy purchases 32% of Libya’s oil and must now try to make up the shortfall. Without oil, the rebel movement has no future. It already lacks ideology and a leader; if it also lacks a financial base it would seem to have little future. As one rebel fighter told a Reuters correspondent: “We have no coordination. We have no organization. We really have no strategy. We have no commander” (Reuters, April 10). To succeed in destroying the rebellion, Colonel Qaddafi must prevent the rebels from producing and selling oil. If the conflict drags on, the costs to Western nations involved in imposing a naval blockade, maintaining a no-fly zone, providing air support to rebel operations and funding, feeding and fueling the “liberated” areas of Libya will soon draw an outcry from the very same public that once demanded military intervention. Time is on Qaddafi’s side; eventually international pressure will force the rebels to temper their demands to find a negotiated settlement. The alternative is Western military occupation of Libya, a new and unexpected war to be added to the unresolved campaigns in Afghanistan and Iraq. Libyan poet Ali al-Kilani is a member of Mu’ammar Qaddafi’s inner circle and has been described as the “poet of the Green Revolution.” As director of Libyan television, al-Kilani has played an important role in defining and presenting the regime’s version of events in Libya. Al-Kilani gained international attention in 2007, when he wrote a song entitled “Al-Qidis Saddam” (The Holy Saddam), which praised the late Saddam Hussein and denounced his executioners (al-Bawaba, July 19, 2007; al-Sharq al-Awsat, December 3, 2009). He recently gave his views on the current rebellion and his perception of bias in the Arab media to a pan-Arab daily (al-Sharq al-Awsat, April 12). Al-Kilani describes the rebellion as a mix of religious, political, media and military elements forming a “tight-knit conspiracy.” On the ground the Libyan regime faces “the weapons of terrorism and al-Qaeda,” supported by deviant clerics and F-16 aircraft. Mahamadou Issoufou, the newly elected president of Niger, laid out his vision of a more active and cooperative military response to the threat posed to regional security by al-Qaeda in the Islamic Maghreb (AQIM). His views were presented in an interview with Beret Vert, a Niger Army review (Ennahar [Algiers], April 8; AFP, April 8). Issoufou was sworn in as the newly elected president of Niger on April 8, the culmination of a successful democratic transition following the February 2010 military coup that overthrew President Mamadou Tandja. The new president faces enormous problems in stabilizing Niger, where severe economic pressures make smuggling, banditry, insurrection or even employment by AQIM seem like rational opportunities for restless young men. Niger was ranked 167 out of 169 states measured in the 2010 UN Human Development Index. Despite the economic pressures, the new president has promised the military better arms, training and equipment (AFP, April 8). Warning that AQIM has the potential to destabilize the “whole of the Sahara,” Issoufou said the “countries of the north” were “indispensable” for training and equipping Niger’s defense and security forces. Suggesting that Niger’s military was operating “blind” in the vast desert regions of northern Niger, the new president urged Western cooperation in intelligence matters. He also supported the further growth of the joint Sahel intelligence center in Tamanrasset (Centre de Renseignement sur le Sahel – CRS) established by the intelligence chiefs of Algeria, Niger, Mali and Mauritania on October 7, 2010 (see L’Expression [Abidjan], October 7). Issoufou said he envisaged Niger’s military deployed in new barracks and forward posts throughout the country, including the deployment of Nigerien Special Forces in strategic frontier zones. Niger’s own army, the roughly 8,000 man Forces Armées Nigeriennes (FAN), is dominated by members of the Djerma-Songhai, historical rivals of the Saharan Tuareg of northern Niger. Fees from uranium concessions form an important part of the military’s funding. The Tuareg have urged military recruitment in northern Niger, which would help end local perceptions of the army as an occupation force. Only hours after his inauguration, Issoufou took an important step towards reconciliation with Niger’s Tuareg community by appointing Brigi Rafini, an Agadez Tuareg, as his new Prime Minister. 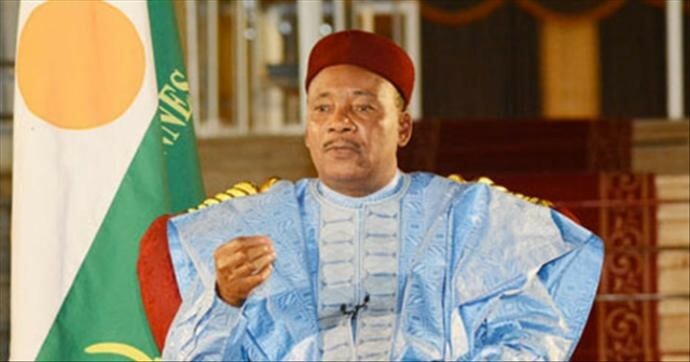 Like Issoufou, Rafini was a former minister in the government of President Ibrahim Bare Mainassara, who was assassinated by members of his own bodyguard with a truck-mounted machine gun in 1999. Trapped somewhere between revolution and counter-revolution, Egypt’s Ministry of the Interior is facing internal collapse amidst a disastrous leak of intelligence files, mysterious fires in records facilities, suggestions the ministry was running false-flag terrorist operations, a loss of judicial immunity and a dramatic deterioration of discipline and morale. The charges come as many Egyptians fear elements of the security services are inciting political and social chaos as the first phase of a counter-revolution. As the protests in Egypt grew in strength in late January, Interior Ministry police disappeared from the streets after killing at least 300 demonstrators while Ministry prison guards released thousands of prisoners, leading to a predictable crime wave that angered many Egyptians. The police were ordered to return to work by new Prime Minister Essam Sharaf, but large numbers of police and security officials have failed to return to their jobs. Many fear for their personal safety in a climate where the police and security men no longer enjoy immunity. Some point to the fate of a policeman in the upscale Cairo suburb of Ma’adi, who was severely beaten and his vehicle set on fire after shooting a bus driver during a dispute, an act that would have once gone unchallenged (BBC, March 29). Most important for Egypt’s national security and international counterterrorism efforts is the fate of the Mabahith Amn al-Dawla (State Security Investigations Service – SSIS). Once a relatively small department of the Ministry of the Interior, the SSIS grew steadily under the presidencies of Anwar al-Sadat and Hosni Mubarak, and benefited enormously from the wide latitude that governed their activities after the implementation of the 1981 Emergency Law, which is still in effect. Protecting the regime eventually became the agency’s unofficial mandate (al-Masry al-Youm, March 9). The SSIS interfered with the development of political parties, human rights groups and trade unions while approving the appointment of newspaper editors and even imams. The Muslim Brotherhood and various Salafist groups came under close scrutiny. The SSIS enjoyed close relations with the FBI, which offered SSIS members training at its Quantico headquarters, and with the CIA, from whom the SSIS received prisoners for interrogation under the U.S. rendition program. Protesters entered the main headquarters of the SSIS headquarters in Nasr City (a Cairo suburb) on March 5 through an open side door and found shredded documents and torture devices while the army stood back. Some protesters were able to demonstrate how the instruments were used based on personal experience. Despite urging from the army, the protesters refused to leave until representatives of the attorney-general’s office arrived at 9PM to receive documents, tapes, computer hard drives and shredded paper collected in the building (al-Masry al-Youm, March 6). Demonstrators in Alexandria entered the local SSIS building on March 4 as SSIS agents were shredding and burning documents. Official reports said 21 security officers were assaulted by demonstrators and had to be escorted out by the army (Middle East News Agency, March 4). A fire in the SSIS headquarters in 6th of October City (a satellite of Cairo) on March 5 damaged or destroyed many files and documents. Protesters forced entry to the building after observing fire-fighting vehicles being turned away by state security officers (Ahram Online, March 7). Prosecutors in 6th of October governorate later charged 67 SSIS officers with burning state documents and public property (Ahram Online, March 8; Bikya Masr, March 8). On March 6, roughly 2,000 civilians demonstrating at the Lazoghly (downtown Cairo) SSIS headquarters for reform of the security services and access to the building to prevent destruction of documents by the police were attacked by 200 men in plainclothes wielding a variety of knives, swords and gasoline bombs (BBC, March 6). The army fired into the air to disperse the demonstrators and arrested 29 individuals, all of whom were later released (Bikya Masr, March 7, March 8). State security buildings in Assyut, Minya, Marsa Matrouh, Suez City and al-Arish were also occupied by demonstrators on March 6 (Bikya Masr, March 7). Since then, the files taken from the security offices have begun appearing on Facebook pages, opening the secrets of the long-feared internal security services to all Egyptians. Meanwhile the Supreme Council of the Armed Forces has appealed to Egyptians to return the files to authorities, citing concerns for national security. Though many fear the documents may disappear after their return, it is also impossible to verify their authenticity or use them in prosecutions so long as they remain in private hands. Indeed, by breaking the chain of evidence, the protesters may have unwittingly made the documents useless in judicial procedures. Although the main Facebook site for publishing these documents has a rule against publishing the names of informers contained in the records, other websites have been less scrupulous. The Egyptian media has been banned from publishing details of any of the documents found in Ministry offices. New Interior Minister Mansur al-Essawy argued, despite the evidence, that it would be illogical for officers to destroy documents they need in their investigations. Essawy claimed that such destruction did not matter in any case, as the originals were kept in the main branch of the SSIS (Bikya Masr, March 7). Eight of the documents suggested SSIS involvement in the January 1 al-Qiddisine (“Two Saints”) church bombing in Alexandria that killed 21 Copts and wounded nearly 100 more Copts and Muslims. One document addressed to the Interior Minister and dated December 2, 2010 referred to the bombing as “Mission no.77” and contained details of the church layout and a plot involving the use of a known Islamist to organize the attack. Shortly before the bombing occurred, the heavy police presence around the church (deployed in response to threats against Coptic institutions) suddenly melted away. The long list of dead and wounded at the entrance to the church, where police would be expected to be found, contained not a single member of the security services. This ignited street protests by the Coptic community. The release of the document alleging SSIS guidance of the terrorist operation brought Copts into the streets once more. Then Interior Minister Habib al-Adly announced the ministry had “conclusive evidence” that the church had been struck by a 19 member cell led by Ahmad Lofty Ibrahim of the militant Gaza group Jaysh al-Islam (Army of Islam) (BBC, January 23; al-Ahram, January 25). The small Salafist group issued a prompt denial of any involvement in the bombing. Gaza’s Hamas government expressed surprise at the allegations and called on Egypt to share intelligence on the matter: “Hamas is leading a resistance against the Zionist occupation inside Palestine and will never allow it to move outside Palestine. Egyptian and Arab security is one of our top priorities. We consider the Arab nations our strategic depth and we would not accept anyone to touch their security” (al-Jazeera, January 23; AP, January 23). Al-Qaeda deputy leader and native Egyptian Dr. Ayman al-Zawahiri denied any al-Qaeda connection to the Alexandria church bombing. Instead, he laid all responsibility for the attack at the feet of Pope Shenouda III and the leadership of the Coptic Orthodox Church, accusing them of spreading the belief that “the Muslims have occupied Egypt and must be driven out as they were kicked out of Spain” (AP, February 25). Since the fall of Hosni Mubarak, sectarian clashes have dramatically increased. In one street battle in the Manshiyet Nasr shantytown on the edge of Cairo hundreds of Copts and Salafist youth battled until the army intervened by firing on the combatants. Many Egyptians believe these clashes continue to be instigated by state security services (Bikya Masr, March 9; al-Dostour, March 10). Copts have also taken to the streets to protest reports of attacks by the army on the 5th century St. Bishoy Monastery in Wadi al-Natrun and the Monastery of St. Makarios of Alexandria in the Fayoum Oasis. The ruling military council has said these actions were necessary to remove newly built walls around the monasteries (AP, February 25). The Sharm al-Shaykh Bombings – A False Flag Operation? Some of the documents allegedly seized from the 6th of October headquarters appeared to implicate the former president’s son, Gamal Mubarak, and former Interior Minister Habib al-Adly in a “false-flag” terrorist operation designed as retribution for a business dispute – the July 23, 2005 Sharm al-Shaykh bombings in which over 80 people were killed and 200 wounded in the coordinated attacks on two hotels and a market. According to the documents, the bombings against properties owned by Egyptian businessman Hassain Salim were organized by Habib al-Adly. One of the documents says the dispute was based on Gamal Mubarak’s anger with Hassain Salim after the latter reduced his commission in a $2.5 billion gas deal with Israel. A message appeared after the bombings on jihadi internet sites claiming the attacks on behalf of the “Abdullah Azzam Brigades,” though in practice local Bedouin were blamed and pursued by the security services. A document addressed to the Interior Ministry and entitled “Order 231” gave details of the planning of the attacks. The document is dated June 7, 2005 and is signed by several state security agents (al-Dostour, March 10; Afrol News, March 9; Der Spiegel, March 9). Though there are many allegations against al-Adly, the former Interior Minister was initially charged only with money laundering and unlawful acquisition of public money. Nevertheless, his first appearance in court was accompanied by demonstrators outside the court demanding the death penalty, saying his prosecution on relatively minor charges was insufficient (AFP, March 4). Since then, it has been announced that al-Adly and four other senior security officials (including former SSIS chief Major General Hassan Abdelrahman, public security head Major General Adly Fayed, Cairo security chief Major General Ismail al-Shaer and former assistant to the Interior Minister Major-General Ahmad Ramzy) would also face charges related to the killing of demonstrators (Ahram Online, March 11; Bikya Masr, March 13). Al-Adly’s trial is scheduled to begin in Cairo Criminal Court on April 24. There are also demands for hundreds of other Ministry officials to be prosecuted for various crimes. Egyptian human rights organizations have compiled a list of 74 SSIS officials (including four Interior Ministry generals) and 264 other police and prison officials responsible for torturing detainees and presented it to the Attorney General (al-Wafd, March 10). During the security breakdown that preceded Mubarak’s resignation, thousands of prisoners are believed to have escaped prisons run by the Interior Ministry. Efforts are now underway to find the fugitives or convince them to turn themselves in. As many as 300 of the escapees may be members of organizations such as al-Qaeda, Hamas or Hezbollah. The Interior Ministry’s prison affairs department announced they had released 904 political prisoners and 755 criminal prisoners from February 1 to March 12 (Ahram Online, March 12). Authorities quickly changed their minds about one release; Muhammad al-Zawahiri, brother of the al-Qaeda deputy leader, was rearrested on March 19, only three days after being freed by the army along with 59 other convicted Islamists who had served 15 years or more of their sentences (al-Masry al-Youm, March 21). Among those released earlier were Aboud and Tariq al-Zomor, convicted in 1984 for their role in the assassination of President Anwar al-Sadat (Ahram Online, March 11). Aboud al-Zomor and many other Salafists were accused of using intimidation to press for a “yes” vote (preferred by the ruling military council) in the March 19 referendum on constitutional changes (Ahram Online, March 31). A New Security Service: Renamed or Reformed? In taking his new role, Interior Minister Mansur Essawy pledged that he would work to restore security and reduce the role played in Egyptian life by the security services (al-Jazeera, March 7). Essawy is regarded as an unpopular choice within the ministry, which he left ten years ago (Ahram Online, March 23). The SSIS was formally disbanded on March 15, though Essawy has stated many former employees will be rehired for the new National Security Division that will replace it. 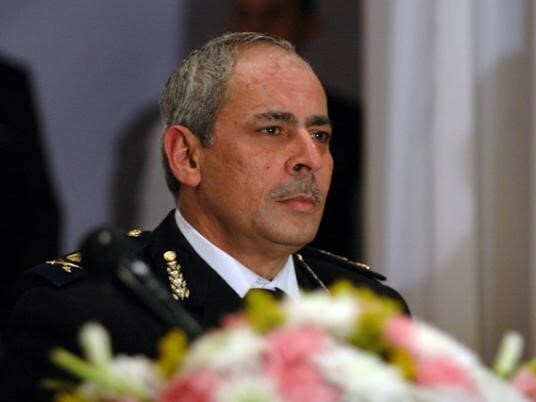 The Division’s chief will be appointed by the Interior Minister rather than the president, as was formerly the case with the SSIS (Ahram Online, March 17). Hopes for a complete break with the past were dashed when Essawy said the state security apparatus “cannot be dissolved,” though he pledged it would restrict itself to counterterrorism and national security issues (Middle East News Agency, March 12; Bikya Masr, March 12). On March 20, al-Essawy appointed a 39-year police veteran, Hamed Abdallah, as the first director of the National Security Department (al-Masry al-Youm, March 20). 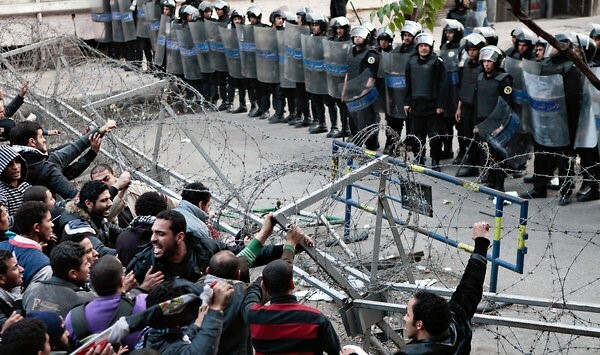 Morale within the Interior Ministry is crumbling with many police taking to the streets to demonstrate for better pay and the restoration of their immunity from prosecution – many fear being brought to trial for their role in abuses committed during the Mubarak regime. A senior Ministry official told a Cairo daily: “Officers go home and decline to come to work; they switch off their mobiles and do not take calls on their home landlines… Hundreds of police officers have already resigned; they just don’t want to be part of the ministry anymore” (Ahram Online, March 23). Calls for reform and even prosecutions have come from inside the Interior Ministry as well. A new group known as the “Honorable Policemen” has warned elements within the Ministry are perpetuating political and social disorder as part of a growing counter-revolution. The group is preparing a list of corrupt police officials for presentation to the Attorney General (al-Masry al-Youm, March 30). Other officers have protested outside their own buildings demanding better wages and working conditions. Existing pay scales almost ensure a culture of corruption within the security services. Another mysterious fire began in the personnel department of the downtown Cairo Interior Ministry headquarters as policemen protested outside on March 22. Among their demands was the return of Mahmoud Wagdi as Interior Minister (Ahram Online, March 22; BBC, March 22). An Interior Ministry veteran, Wagdi was appointed by Mubarak on January 31 and was replaced by al-Essawy on March 5. Brigadier General Safwat al-Zayat has claimed the criminal and sectarian violence that swept Egypt after the army’s decision to sack al-Wagdi and former Prime Minister Ahmad Shafiq was designed to prove the army was incapable of running the country (Ahram Online, March 7). Greater unrest may follow if Egyptian authorities try to reduce the bloated size of the Interior Ministry, now estimated to have over 1.7 million employees, making it over three times as large as the Egyptian military. The question of whether to continue recruiting policemen through conscription will also need to be addressed, as will the question of how to bring the new security service under effective civilian control and oversight. The Mubarak regime may have been a victim of its own success in pursuing a long and often brutal campaign against Islamist extremism in Egypt. With nearly all the armed opposition either dead, imprisoned or in exile, Egypt’s stability and lack of external enemies led to new demands for economic liberalization, the repeal of the Emergency Law and the introduction of a more legitimate democratic process. Fueling or even igniting religious and sectarian tensions in Egypt may have provided just the right amount of manageable instability to allow Mubarak to maintain a corrupt administration while posing as the lone bulwark against Islamist violence. These activities also appear to have offered cover to large-scale corruption within the regime. The implosion of Egypt’s Interior Ministry and its national security service provides a cautionary warning to those who assume the “War on Terrorism” is being fought on the same terms and for the same ends everywhere. 1. Video of the break-ins at the security headquarters and documents allegedly found therein can be found at: leaksource.wordpress.com/2011/03/06/amn-dawla-leaks-egyptian-security-force-files/. 2. Video of the break-ins at the security headquarters and documents allegedly found therein can be found at: leaksource.wordpress.com/2011/03/06/amn-dawla-leaks-egyptian-security-force-files/. 3. For the document, see: www.facebook.com/photo.php. • Al-Misrata predicts the post-Qaddafi era will inevitably be a time when Islam comes to dominate Libya. He hopes that people will realize this and work toward it, as Islam is “making a comeback… whether people like it or not.” For this reason, al-Misrata calls for the implementation of a new Islamic constitution for Libya that will have Shari’a as the sole source of legislation. • The people of Libya must maintain their unity and brotherhood. Uniting in Islam is the best way to do this. • Al-Misrata calls on Libyans to keep forgiveness and tolerance in the forefront of their dealings with former regime members, with the exception of the “cronies and aides of Qaddafi” and those who committed “the most grotesque forms of crime” against Islam. 1. For the video, see youtube.com/watch?v=jkaNL2ZVg6g.